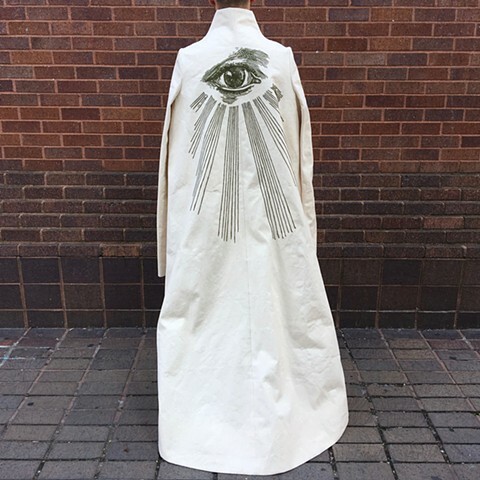 My interpretation of a Kurdish shepherd's cape with a chainstitch embroidered all seeing eye. Traditionally made of thick felted wool, my cape is made from a 14 oz heavy duty cotton canvas. The sleeves are purely for decoration and are non functional.